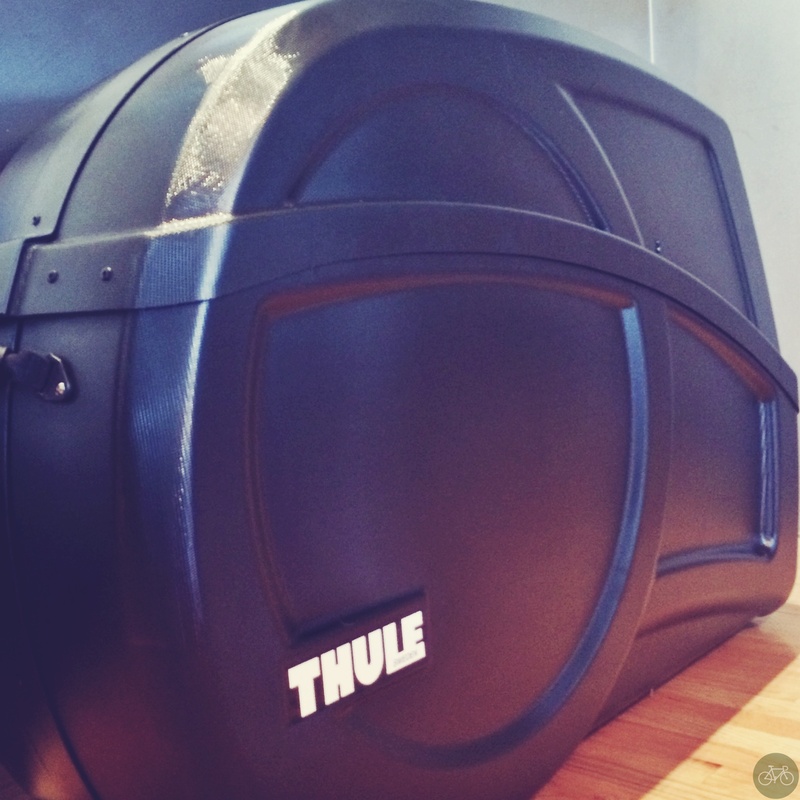 First saw this new travel case from Thule at Interbike and was very impressed then. This is the second unit to ship out of Thule’s Chicago factory and I’ll leave it in the dining room as long as the family allows. It’s a travel case sculpted so well, it looks like art. It also combines, style, protection, and convenience with its integrated work stand. So what the industrial designers at Thule did is take their roof rack tech, put it into a bike case, and then attached a bike stand to it. Brilliant and we’ll try it next month on our next trip. We normally travel with S&S bikes, but for this case, we’re making an exception.